Using ICC profiles is an absolute must when you want to do effective color management. The reason is simple: they contain all essential data needed for the correct rendering of colors. ICC stands for International Color Consortium — an independent organization launched in 1993 by eight vendors with the aim of promoting color management systems across different platforms. The ICC profile of an image contains detailed descriptions of how its colors should be rendered, including color space and distribution, how the lightest and darkest tones are dispersed and combined throughout the image pixels etc. This entry was posted in Image conversion and tagged icc on February 27, 2017 by reaconverter. SVG (Scalable Vector Graphics) is a versatile format based on the XML markup language, supporting a variety of static and moving images — drawings, animations, interactive graphics and more. Launched as an open standard at the end of the 1990s, the SVG format is currently compatible with most web browsers and can be edited using any text editor or graphics program. 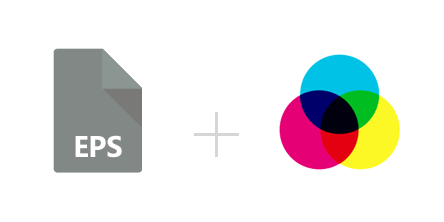 This is great news for developers, as they can use SVG to create various types of graphical applications. This entry was posted in Image conversion and tagged svg on February 20, 2017 by reaconverter. DWG and DXF are two of the most widely used graphics formats in the construction and engineering industry. They are usually created via AutoCAD, the popular software for drafting 2D and 3D computer-aided design projects, and they store large layered files with detailed building plans, maps, model designs etc. DXF represents the interchange version of DWG and both formats are scalable vectors storing images as polygons. This entry was posted in CAD conversion and tagged dwg, dxf on February 14, 2017 by reaconverter. SWF stands for “small web format” or “Shockwave Flash” and represents an animated image extension currently part of the Adobe group of proprietary formats. Together with GIF and PNG, SWF represents one of the most widely used extensions for posting online short animations or applets than can include interactive features. Some of the main advantages of using SWF include fast loading time, supporting scalable graphics and transparencies. This entry was posted in Image conversion and tagged animation, swf on February 8, 2017 by reaconverter. 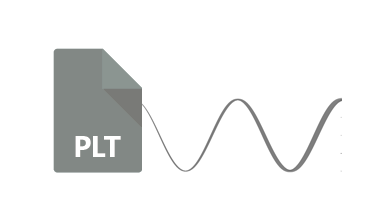 PLT is an image format associated with plotters — a type of printing devices that use vector graphics as input files, as opposed to regular printers, which can only print raster images. Plotters can be of different kinds, including pen plotters — printing devices using a pen to draw lines and curves on paper, and cutting plotters — using knives to cut shapes into paper or other types of materials. Files with the PLT extension usually store maps, posters, detailed designs of machines and other types of monochrome or full-colored graphics. PLTs can be created using computer-aided design software, such as AutoCAD and Adobe Illustrator. Or they can be obtained via conversion from other image formats. The main advantage of PLT over other graphics extensions is that the image can be sent directly to the plotting device. This entry was posted in Image conversion and tagged HPGL, plt on January 11, 2017 by reaconverter. Are you an architect or a designer? 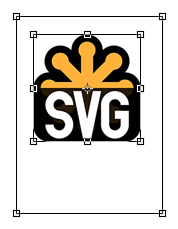 Then DWG (Drawing) is probably a format you use very often. Highly popular in the construction and engineering business, DWG files store sketches and building projects, maps and geometric data. They represent the native format of AutoCAD, which is probably the best known computer-aided design software. One of the advantages of using the DWG format is the possibility to attach referenced drawings or XREFs. These are linked to the main drawing, but the best part is they are not actually inserted into it, which means they do not add to its file size. However, when an editing or update is made to the xref drawing, it also appears in the main DWG file. This entry was posted in CAD conversion and tagged dwg, xref on November 24, 2016 by reaconverter. Many professional photographers prefer shooting RAW images — instead of the more popular JPEG — for the obvious benefits of this format. When set in RAW mode, the camera’s sensor captures everything, or as close as you can get to what you see with your naked eye. This translates into great image quality, wonderful view of details and high levels of brightness, among others. Plus, during post-processing, photographers have the chance to customize RAW photos according to several criteria, retouching and adjusting colors the way they want. As RAW images tend to take up a lot of space and sometimes slow down the camera, not to mention they are not viewable or printable using regular viewers or printers, their conversion to more accessible formats is an actual must. This entry was posted in RAW formats and tagged arw, cr2, nef, raw on November 3, 2016 by reaconverter.